Of course, Abercrombie & Fitch is a brand designed for young people. Alfred Dunner, proprietor of clothes for women of a certain age, wouldn’t be having this discussion. What bothers me about this is the message to very young women. But what is cool? Do you perceive yourself as cool? What measures do you use? What messages do you give your daughters, and sons, for that matter about cool? I was a first child, born to married parents who loved me unreasonably and blessed me every day of their lives. Remember the glow that a new parent has upon first seeing her child? One looks at the newborn and sees an angelic aura around her–most new mothers are surprised that others don’t recognize the special beauty of this child. Because we are mostly gracious, we also fawn over a baby even if, as I did, resemble a cross between a raccoon and an opossum. Never once in my childhood did I feel unloved. But from an early age on, I knew that I wasn’t pretty. Two of my cousins had beautiful blond hair and crystal clear blue eyes, and I was aware that was good. 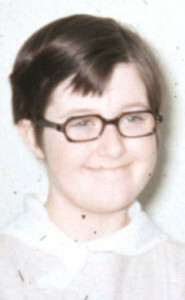 My nose got bigger — in the tradition of the family males — and I needed glasses and braces early. Had I paid attention to the genetics of my father’s three sisters when I was a kid, I would have realized I didn’t inherit a Betty Grable body. Rather, I ended up with a propensity for several chins and turkey waddle under my arms. Fast forward to adulthood. With two college degrees in my portfolio, I pursued a successful career. With that face for radio, I worked behind the scenes in healthcare marketing and public relations. In my late twenties, I married the love of my life and we’re still married. At age 42, I was hired by one of the world’s largest companies as a pharmaceutical sales rep. This company is noted for hiring gorgeous people with a high-profile college career as an athlete. You know — the “cool” kids. Why in the world did they hire me? Never in my life have I been a cool kid. Maybe where you went to high school things were different, but at my school the members of the newspaper staff and the library club weren’t exactly the Brat Pack. I looked much more like Dudley Moore than Demi Moore. Aye, here’s the rub. My parents instilled in me a confidence that still remains. I have my doubts, as others do but I didn’t let my looks get in the way of my career or my life. While I don’t have a daughter, I’ve tried to instill the same encouraging confidence in our son (who by the way resembles his father and didn’t get the family proboscis.) My parents also taught me that when the horse throws you off, get right back up and do what you need to do. Focus on self, not on the other guy. Someone will always be prettier than you, or cooler than you. Focus on your strengths, and be grateful for them. And everyone has strengths. Teach your children what is important, and if they are lucky enough to boast external beauty, it will magnified by the light of inner beauty. And then there’s no need to worry about “cool.” And that’s probably bade news for A&F’s Jeffries. Published May 29, 2013 on The Broad Side. Please comment there. On Decoration Days of Old in Indiana Are We There Yet?